Ramadan is the most religious festival of Muslims and is celebrated all across the world. Although this festival includes intense sacrifice and severe fasting, Muslims celebrate it with a lot of joy and enthusiasm. Ramadan is considered as the third pillar of the five pillars of Islam. Fasting in Ramadan is one of the most important acts that Muslims have to perform. Fasting is considered as an act of self-sacrifice and self-control. It is believed that through fasting, Muslims can empathize with those who are poor, without food and needy. Muslims also believe that through fasting they can be grateful to God for all the good things that they have received in life. Charity is another important part of Ramadan. Charity or Zakat as it is called, means giving away wealth to those who are poor and needy. According to Islam, when a Muslim performs Zakat, he/she purifies his wealth by giving a part of it to the needy. 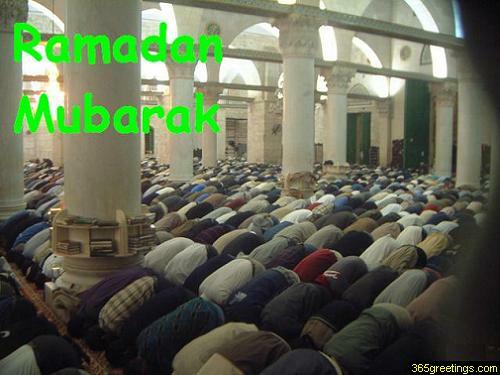 Ramadan is the time when Muslims offer intense prayers to God. They also try to read the entire Quran. There are special recitals and readings organized in mosques to read the Quran. At these recitals an entire section of the Quran is read which makes it possible to read the entire Quran during the month of Ramadan. Muslims spend the last ten days of Ramadan in intense prayers. These prayers are considered to be special because it is believed that Muslims get closer to God through devotion, good deeds and sacrifices. The 27th night of Ramadan is known as Lailat-ul-Qadr or the night of Power and it is believed to be more auspicious than other nights. The aim of fasting during Ramadan is not to starve oneself but to develop immunity and rid the body of toxins and waste. Muslims believe that by observing fast during Ramadan they can purify their body, mind and soul and bring themselves closer to God. They believe that by fasting they will become more understanding towards the needy and less fortunate people. Fasting enables them to develop self-restraint and self-control which helps shape up their personality. Ramadan is a time for Muslims to reflect and evaluate their lives under Islamic principles. They are expected to purify themselves and become a better human being.